Are You Struggling To Concentrate, Organize And Stay On Task? Do you have a hard time focusing, completing assignments and tasks or managing your time well? Have you struggled with concentration, staying organized and time management since you were a child, but find that getting anything done now that you’re on your own is nearly impossible? Are you exasperated by daily tasks, falling behind at work or school and feeling like you can’t get anything right? Have friends, family members, teachers or bosses given you a hard time or expressed concern about your academic or work performance? Do you often feel frustrated with yourself, wonder why things that others seem to do with ease are so difficult for you or feel like giving up? Do you wish that you could figure out how to get through work or school with more ease, keep up with daily tasks and stop dropping the ball all over the place? If you answered yes to any of the above questions, you may be struggling undiagnosed Attention Deficit/Hyperactive Disorder (ADHD). While ADHD is typically diagnosed during childhood or adolescence, many ADHD teens squeak by with the help of the structured environments provided by their parents and/or school. It’s often not until young adults venture out on their own that ADHD symptoms really begin to impact their ability to function well in the world. If you have ADHD, there is an explanation for your difficulties with time management, organization and concentration – and it has nothing to do with intelligence. It’s not that you are less intelligent than other young adults, which is a common misconception of people with ADHD. There are no studies that link the two. Rather, for people with ADHD, the executive functioning of the brain – the organization center – is not operating optimally. If you have ADHD – which BPS can help to determine through psychological testing – there is a biological reason for your struggles. Almost everyone struggles with adequately managing time, staying organized and juggling multiple tasks simultaneously at certain times in their lives. However, for some people (studies show about 10 percent of the population), these executive functions present ongoing, pervasive and extreme challenges. If your inability to manage time, maintain concentration and an ongoing lack of follow-through is negatively affecting your life – and has been for some time – getting help may be critical. Therapy can significantly improve how you feel and function now and throughout adulthood. First, getting that true diagnosis can provide an immediate sense of relief. You’ll finally know and understand why tasks that others complete with ease are more challenging for you. For more information on testing for ADHD, contact licensed school psychologist Charlie Wright. Second, if you are committed to doing the work, therapy can be extremely effective way to help you manage you ADHD symptoms and experience more confidence, productivity and ease in your everyday life. Your experienced and trained BPS therapist can help you develop concrete, practical skills to manage your ADHD. There are simple strategies and structures that you can integrate into your life that can help you organize, stay focused and retrieve memory. Your therapist can also help you identify and address any lifestyle choices that are impacting your ability to feel and function well. Developing better eating, sleeping and exercise patterns and learning healthy ways to cope with stress can often help to improve focus, memory and general wellbeing. Your therapist can also help you work through the self-esteem, academic, professional, social and family issues that living with ADHD symptoms can create. You can learn how to be more responsible and accountable, as well as how to identify and build on your strengths. Many people with ADHD experience periods of intense focus and are extremely intelligent and creative. Building on these types of strengths can help you become more confident, productive, and hopeful. Addressing your ADHD now and getting support, tools, and guidance from a qualified and experienced BPS therapist can get you well prepared for the future. Although pervasive, ADHD is also manageable and workable. With practice, planning and the right therapist, you can learn how to better remember things, stay organized and follow through. This can lead to higher productivity, improved self-esteem and better relationships. Rather than expecting and accepting struggle as the norm, therapy can help you move into your future feeling empowered, prepared and positive. I’m worried that an ADHD diagnosis will mean that I’ll need to be on medication for the rest of my life. There are many coping skills and strategies that can help you manage ADHD symptoms. These techniques take work and it may take longer to see results, but it is possible to feel and function better without medication. However, if all other approaches are not leading to noticeable improvements, your therapist may suggest that you meet with a psychiatrist to determine if medication could be helpful. If something is biologically wrong, the executive functioning of the brain may not be operating correctly, making it extremely challenging for you to organize, focus and/or remember things – regardless of how hard you work at it. If medication is prescribed, it is possible to experience dramatic improvements in your ability to function normally. For many people with ADHD, medication in combination with therapy has been shown to yield the best results. I’m afraid that therapy will just be more of the same lectures and advice that I hear over and over from my parents and teachers. While you may hear some of the same observations, it is not the role of your therapist to lecture you. Rather, the goal of your BPS therapist is to help you look at your life holistically, identify and address challenges, and to set realistic and practical goals. There is no judgment or expectations in therapy; in fact, in most cases, it’ll be you leading the way as your therapist offers support, tools, and, yes, advice, to help you realize your goals. I think that therapy could be helpful, but I’m concerned about costs. This is your life and wellbeing, and the time to address your ADHD symptoms is now. Addressing symptoms and related issues as a young adult can prevent a host of problems from impacting academic, professional, and even social and personal goals. Many people come to BPS having worked with other therapists who were not trained to work specifically with young adults with ADHD or who they couldn’t relate with – which is a waste of time and money. At BPS, we’ll conduct a referral assessment and match you with a therapist who is trained and experienced to treat ADHD issues and whose personality is a good match for yours. Once you find that good match, making a commitment to yourself may be one of the most valuable investments there is. Imagine feeling and functioning better now and in the long-term on a regular basis and ask yourself what that’s worth. If money still is an issue, you can talk with your BPS therapist to see if they work on a sliding scale. They may also be able to help you find other lower cost resources in the community. We encourage you to schedule a referral assessment with a BPS therapist, trained by BPS Director Dr. Jan Hittelman. We will work with you to determine what your specific issues are and ensure a good match between you and a BPS therapist in terms of personality, style and expertise. You can also check out our free, online therapist directory, which will match you with a therapist who has expertise treating young adults with ADHD. 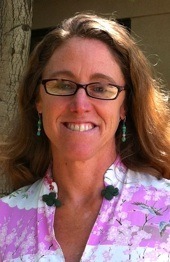 BPS therapist Kate Ellard, LCSW, helped create the content for this page. Kate is a licensed clinical social worker who focuses on helping clients navigate their futures while honoring the present. She particularly enjoys working with young adults and has been treating young adults with ADHD since 1993.